The Law Offices of Lester Friedman is not a large-volume law office. When you become our client, we treat your case with our full attention and a sense of urgency. Because of our deep commitment and experience to California workers' compensation law, we know how to build and present your case. We can also help you get the medical care you need and future compensation through structured settlements. Throughout Lester's career, he has been involved in many legal organizations that have helped him craft and refine his expertise. He is a certified specialist through the State Bar of California in workers' compensation law and has been on the Board of Legal Specialization since 2004. He has also been actively involved in the California Applicants’ Attorney Association (CAAA), which is the statewide organization of attorneys who represent injured workers, for many years. He has served on its board of directors since 1990 and has been its management chair since 1998. He was appointed as Workers’ Compensation Appeals Board judge pro tem in 1984 and was appointed as Workers’ Compensation Appeals Board arbitrator in 1990. He has been selected as a Super Lawyer since 2005 and as a Best Lawyer since 2009 by those nationally recognized publications. 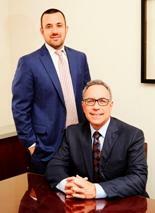 Joshua Friedman has represented injured workers in the California workers’ compensation system since 2005. He was born and raised in Los Angeles, and graduated from Cornell University in Ithaca, New York. Josh’s undergraduate studies focused on the Hospitality Industry, which included a focus on Hotels, Restaurants and Airlines. This knowledge provides him with intimate understanding of employees and the injuries associated with those occupations within these industries. After living abroad for one year, Joshua attended Loyola Law School in Los Angeles and graduated in 2004. During law school, he worked for a highly respected workers’ compensation defense firm and participated in an externship with a workers’ compensation administrative law judge. Upon graduating from law school and passing the California Bar exam, Joshua became an associate at the Law Offices of Lester Friedman. In 2011, he became a Certified Specialist in Workers' Compensation Law through the State Bar Board of Legal Specialization. Since he began practicing law, Joshua has been extremely involved in the California Applicant's Attorney Association (CAAA), the statewide organization of applicant attorneys who represent injured workers. He is a former board member and President for the Southern California Applicant’s Attorney Association (SCAAA), which is the local chapter of CAAA. Joshua is a current member of the Board of Directors for CAAA and Chapter Mentor. Joshua has dedicated his entire legal career to protecting and pursuing all of the benefits due to injured workers under the California workers’ compensation system. Monday through Friday, 9:00 a.m – 5:00 p.m.